It is no doubt that the rise of new energy actors in post-Soviet geographic space such as Azerbaijan, Kazakhstan, and Turkmenistan was welcomed by Western power centers. Those emerging actors were assessed as partners in diminishing Europe’s energy dependence to a single supplier; the Russian Federation. In this context, the main Western initiatives to challenge Russian energy dominance regarding the Caspian Basin were the Baku-Tbilisi-Ceyhan (BTC) oil pipeline, and South Caucasus gas pipeline. These two strategic pipelines pass through the territories of Samtskhe-Javakheti region of Georgia - a tiny administrative unit adjacent to the Turkish city of Ardahan and Armenian city of Gyumri. Because of that, any political turmoil in that strategic region should easily turn into a factor endangering both already unsatisfactory regional stability and European energy security. Daniel K. Jonsson et.al., “Energy Security Matters in the EU Energy Roadmap” Energy Strategy Reviews, 6, (2015): 48. “Energy”, Official Website of the European Union, http://europa.eu/pol /ener/index_ en.htm, Accessed July 24, 2015. Dimitrios Mavrakis, Fotios Thomaidis, and Ioannis Ntroukas, “An Assessment of the Natural Gas Supply Potential of the South Energy Corridor from the Caspian Region to the EU”. Energy Policy, 34, 13 (2006): 1671. Edward H. Christie, “Energy Vulnerability and EU-Russia Energy Relations” Journal of Contemporary European Research, 5, 2 (2009): 276. Tracey C. German, “Corridor of Power: The Caucasus and Energy Security”, Caucasian Review of International Affairs, 2, 2 (2008): 65. Philip D. Rabinowitz et.al., (2004). “Geology, Oil and Gas Potential, Pipelines, and the Geopolitics of the Caspian Sea Region”, Ocean Development and International Law, 35, 1 (2004): 26. ISNAD Yapıcı, Utku . "Samtskhe-Javakheti Region: A Neglected Keypoint for European Security of Energy Supply?*". 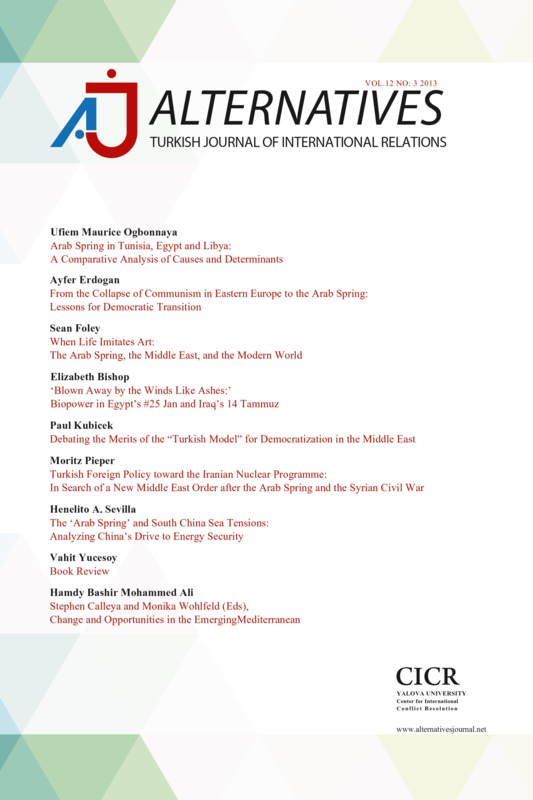 Alternatives: Turkish Journal of International Relations 14 / 4 (April 2016): 1-10.